Selecting the right design of conservatory for your home can be challenging due to the diverse range of styles, but two practical & attractive choices would be either an Edwardian or Georgian Conservatory. Typically, these are very similar in appearance with square or rectangular floor layouts, flat sides and angled or hipped roofs which sometime feature ‘lantern’ sections. This simple floor layout makes them easier to furnish than a room with curved or faceted sides such as Victorian styles. There are companies who specialise in conservatory roofing that can provide tiled roofs for Edwardian & Georgian Conservatories. The position of the room itself can impact on the material for construction – for example if one side is very close to, or on the edge border of your property you may prefer that wall to be solid in either brickwork, render, obscure glass or uPVC infill panels for privacy. As with many rooms that have a high proportion of glass, you may want to fit roof vents to aid with heat build-up and there are many powered or manually opening versions on in the market built specifically for this purpose. 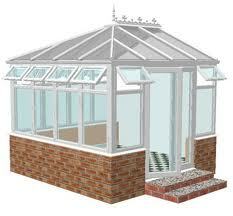 Double Glazing is recommended, as is the use of toughened glass for floor level glazed areas. Using gas filled sealed glazed units with low emissivity glass will also improve the energy efficiency of the room. Both of these designs fall into what can be described as “Period Conservatories” and look much grander when treated as a piece of architecture rather than as a simple uPVC Conservatory, making use of wider window frames & pillars, Lantern roofing, Georgian windows, French doors & Sash windows can really pay dividends. Even though a high proportion of conservatories in the UK don’t need permission from the local planning department to be built because they are classed as permitted developments, there may be a requirement in your area, especially if you have ‘listed’ property or live in an area of outstanding natural beauty (ANOB). There are certain criteria to meet in order to not need planning permission so it is prudent to check before starting on the actual construction work. 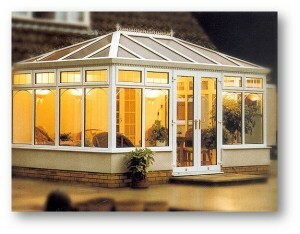 Georgian & Edwardian Conservatories Prices. 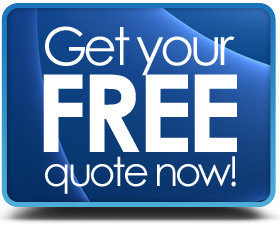 Request Quotes from local or National Companies.